Knowing the life expectancy of major home appliances helps homeowners budget for the future. By following these tips for proper maintenance, homeowners can extend the life expectancy of appliances in the home. As homeowners look at the life expectancy of appliances, they’ll find that gas ranges last longer than other home appliances with a lifespan of 15-17 years. Electric ranges are a close second at 13-15 years. For both range types, regularly cleaning the cooktop and oven are the key components for proper maintenance. A standard refrigerator can last up to thirteen years. Overfilling a refrigerator makes it difficult for cold air to circulate and this overworks the appliance. Periodically clean the refrigerator coils to help maintain the condenser’s efficiency and extend the life of your fridge. Dishwashers are expected to last about 9-11 years. The spray arms should be able to move freely when the dishwasher is loaded. A toothpick is useful for cleaning clogs that can develop in the spray arms. Some dishwashers have a manual-clean feature that can be used. Extend the life expectancy of appliances by maintaining them according to the manufacturer’s instructions. 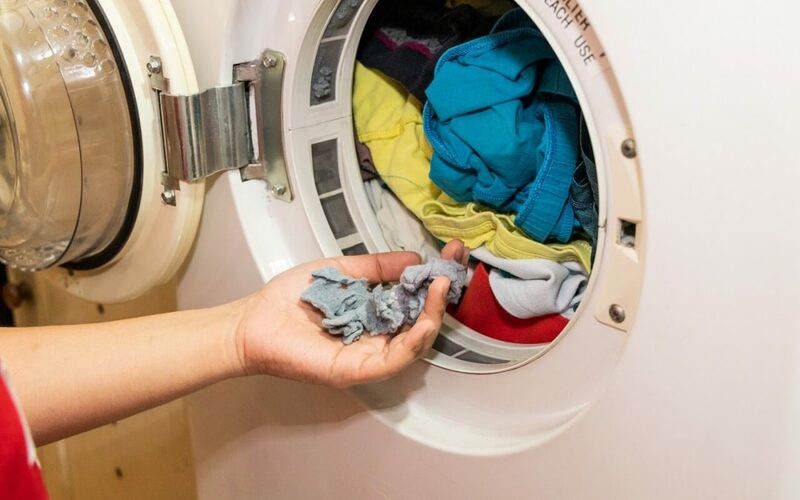 Both electric and gas dryers have a life expectancy of about 12 years. In addition to cleaning the lint filter with every use, the exhaust duct should be cleaned once a year to maintain efficiency and prevent fires. Washers are expected to last around 11 years. Leaving them open after use gives the appliance an opportunity to dry. Washing machines that are kept closed harbor moisture. This results in an unpleasant smell from the growth of mold or mildew. Follow the manufacturer’s instructions on load size, detergent type, and detergent amount to keep the washer running properly. You can expect your water heater to last around 8-12 years. Having the water heater serviced to remove sediment can extend its life and improve its efficiency. Twelve years is the average lifespan for garbage disposals. Running cold water while the disposal is on and for about ten seconds afterward flushes the drain and reduces grease build-up. Clean your disposal with baking soda and vinegar to reduce odors and increase its life expectancy. On Point Home Inspections provides home inspection services in Colorado including Boulder County, Fort Collins, and surrounding areas. Contact us to request an appointment.